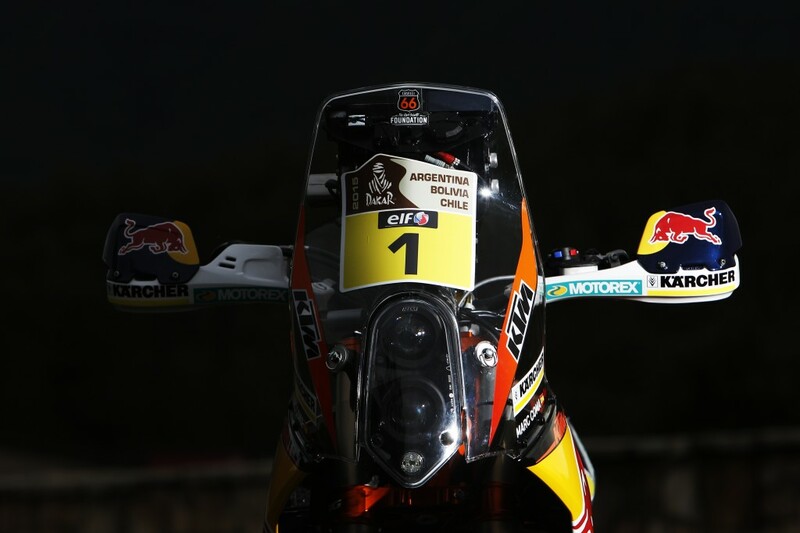 Just like its previous 13 Dakar Rally wins, the Red Bull KTM Factory Racing Team’s new-look KTM 450 RALLY bike is all about going for the victory. 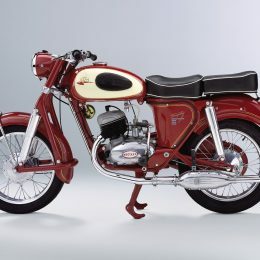 Meanwhile what has been revealed at the team’s photo shoot is, as always, very promising. 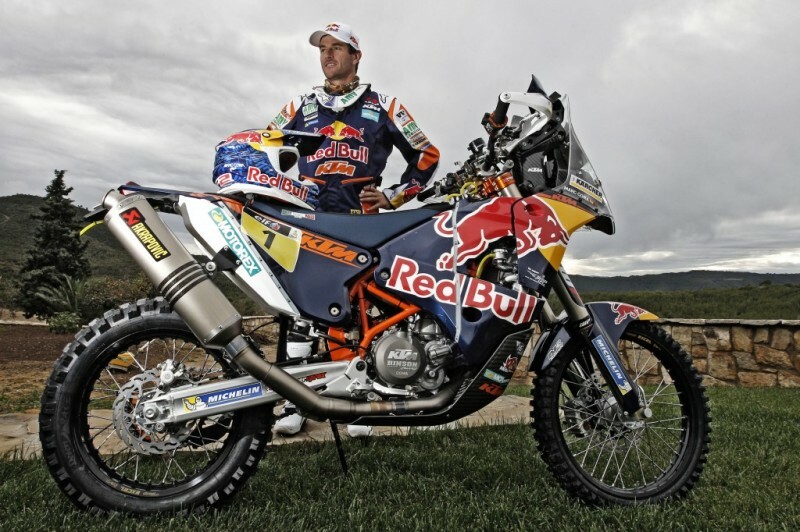 After competing in eleven Dakar Rallies and with four overall victories (2006, 2009, 2011, 2014) Marc Coma is the absolute record holder on Orange. 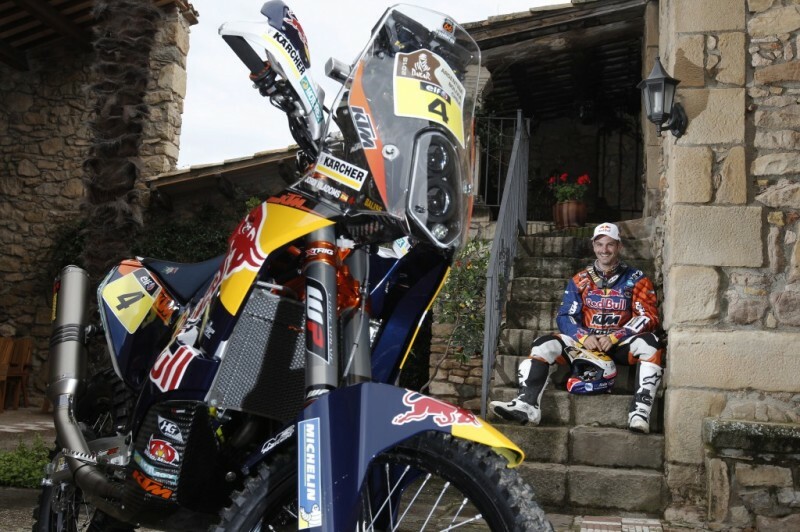 The Spanish rider and reigning FIM World Cross Country Rallies Champion starts Dakar 2015 with number one on the KTM 450 RALLY. 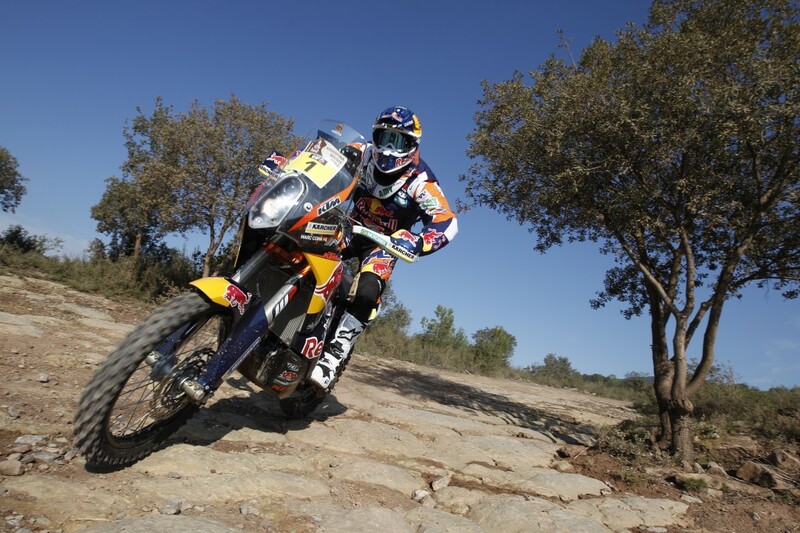 Behind ‘Team Captain’ Marc Coma is a very strong lineup of experienced ‘water carriers’ and very fast rookies. Spaniard Jordi Viladoms and Ruben Faria of Portugal have both placed second behind their KTM colleagues Marc Coma and Cyril Despres in 2014 and 2013 respectively. On both occasions they recorded their personal best results. New team member Sam Sunderland attracted attention last year by becoming the first Briton to claim a stage victory in 15 years. 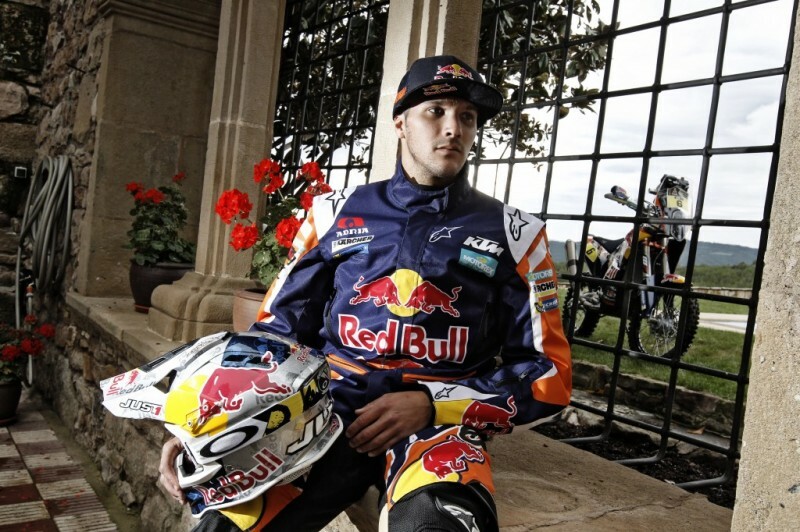 Once again in the lineup is Poland’s Red Bull athlete Jakub “Kuba” Przygonski from Team Orlen. 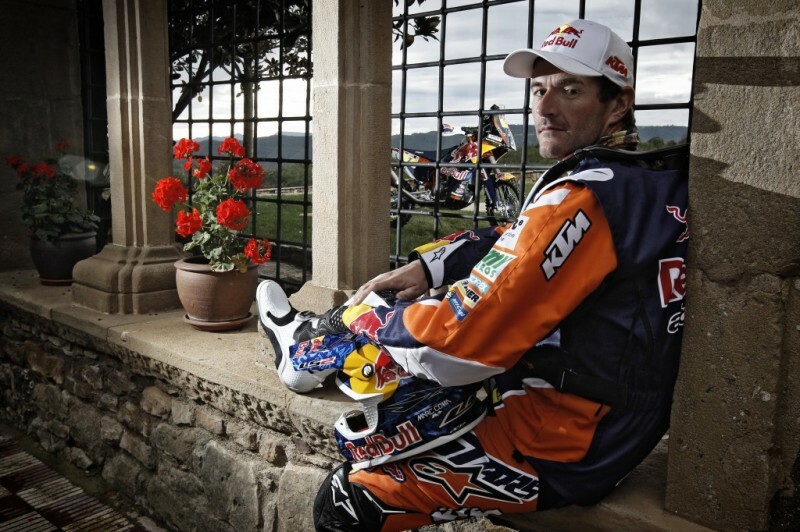 He rides the KTM 450 RALLY and has long been recognized as belonging to the world elite. Przygonski finished sixth in the Dakar 2014 and was the third best KTM rider. 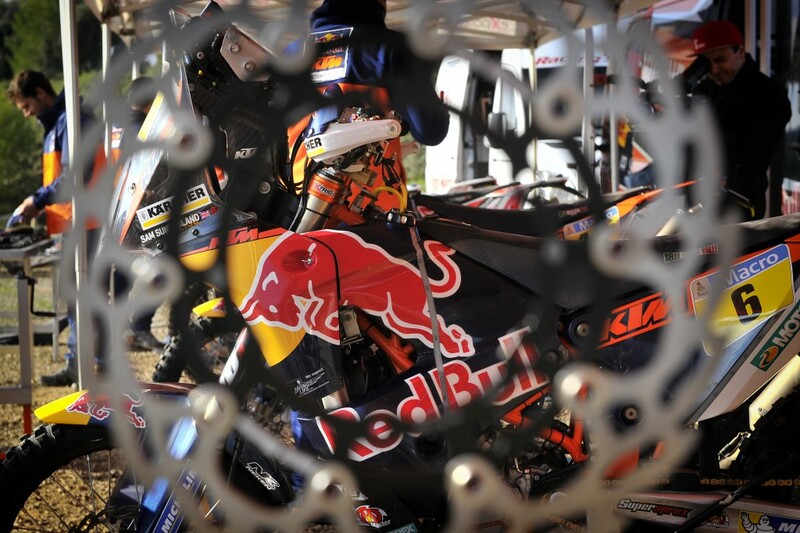 Completing the factory-supported lineup are the two rookies Matthias Walkner (AUT, MX3 World Champion 2012) and Toby Price (AUS, multiple Australian Offroad Champion). 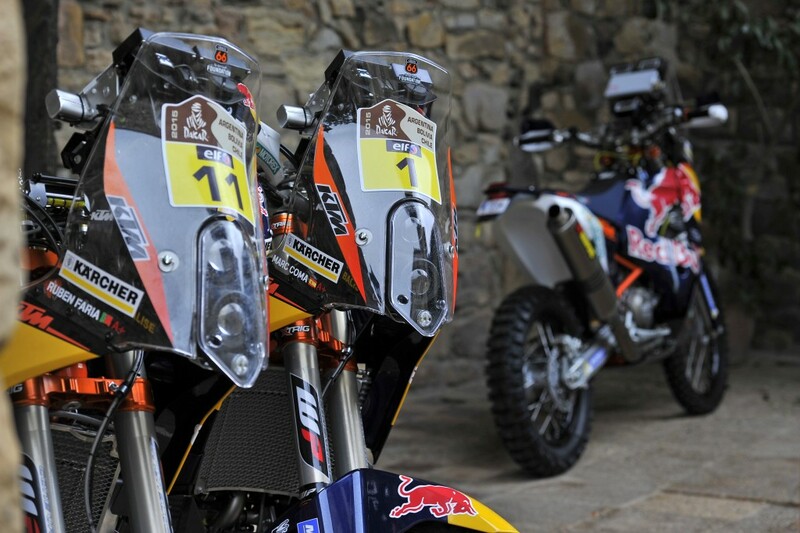 They placed 11 and 8 in the Morocco Rally to celebrate their successful first outing with the Red Bull KTM Factory Racing Team. 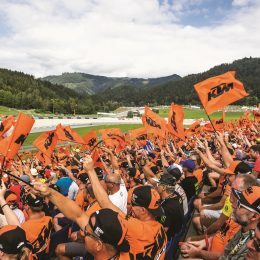 The experience of the riders and the speed of the motorcycle both count for very little without the unconditional support of the team and the complete backing of the technicians. 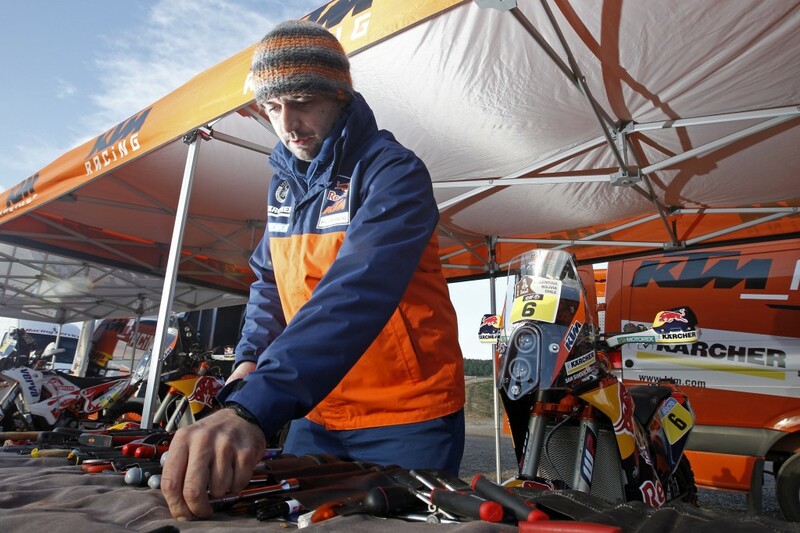 Since the last Dakar victory on January 18, 2014, the crew around Team Manager Alex Doringer and Technical Director Stefan Huber have left no stone unturned in order to continue the series of 13 consecutive wins. 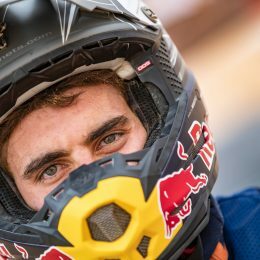 As well as the usual dose of luck, the past has always shown that at the end of the marathon sprint, it is often many years of experience that decides between victory or defeat at the Dakar. 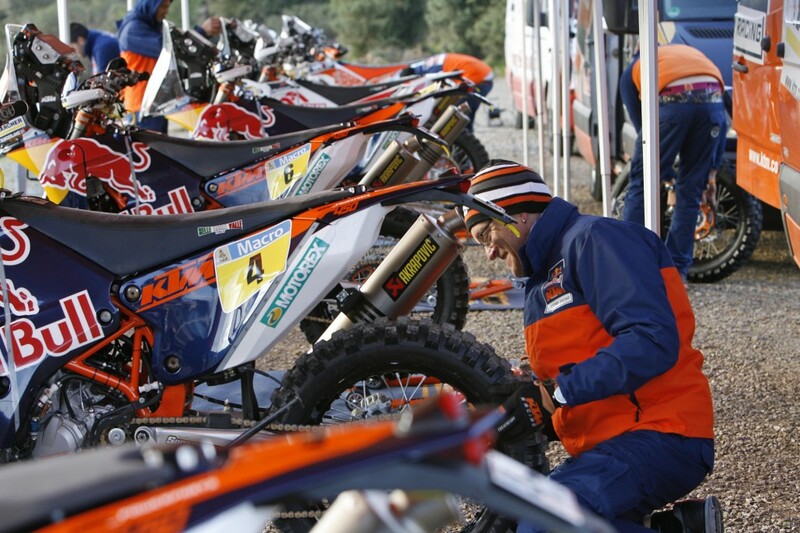 The knowhow and expertise that the team has developed since KTM first entered the Dakar in the mid 1990s counts for at least as much as its 13 overall victories. All pictures from the team shooting at www.ktmimages.com.